Since entering the aircraft engine and film camera businesses in 1977, Samsung Techwin has been a driving force in the development of Samsung¡¯s precision machinery, image and optical businesses. With its own proprietary technology and product lines, Samsung Techwin is at the forefront of Samsung¡¯s digital accomplishments and rapidly becoming a world-class brand as Samsung¡¯s premiere security technology company. For several years, Samsung Techwin was marketed in the USA by a distributor under the name of Samsung 360. This has now changed as Samsung Techwin takes full charge of its own sales, marketing, customer service and technical support in Americas under Samsung Techwin America. In response to the need for top caliber service and support, Samsung Techwin America¡¯s new management team brings a wealth of experience and is redefining what you¡¯d expect in a digital video security partner. Based on 30 years of experience in optical and imaging technologies, Samsung Techwin has developed and released a wide range of advanced video security equipment including cameras and DVRs which utilize advanced digital signal processing ICs that are exclusive to these products. Samsung Techwin is committed to acquiring the world¡¯s best technology and expanding its product portfolio. Engaged in a government R&D project - ¡°The Development of Intelligent Surveillance and Guard Robots¡± - Samsung Techwin has actively participated in industry-wide innovation and unmanned projects. The company plans to become a world leader in video security equipment and imaging applications by pioneering various potential image analysis applications derived from both its fundamental and applied technologies in high-performance cameras and robots. Samsung is the world¡¯s 11th largest company. The AP110B is you solution for bridging any host device with USB Mini-B Interface to terminal equipement with RS-232 interface. The HDMI ro HDMI Micro D cable is the right solution to satisfy your needs!!! Micro HDMI HD cable (with Ethernet) allows you to connect the Smart' Phone's and Digital Camera's HDMI output port directly to your HDMI port capable HDTV or computer monitor to streaming video, pictures, music and downloaded content directly from the Smart Phones or Digital Cameras to share with friends and families! Connect smart Phones, digital cameras and other portable devices that have a Micro HDMI (Type D) input to your HDTV with Instacable Micro HDMI (HDMI D Type) to HDMI cable. 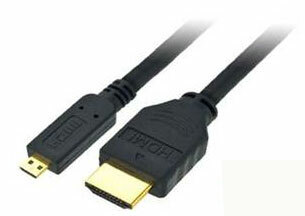 The micro HDMI to HDMI cable packs all the feature of HDMI 1.4 (Ethernet.3D,etc.) 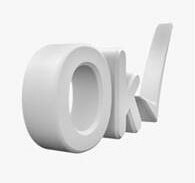 into a smaller form factor, bringing true 1080p video signals from your portable device to your big sctreen HDTV. 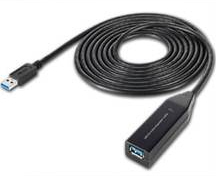 HDMI Ethernet Channel : Adds high speed networking to a HDMI link, allowing users to take full advantage of their IP, enable devices without a separate Ethernet cable. Audio Return Channel : Allows an HDMI connected TV with a built in tuner to send audio data ``upstream`` to a surround audio systems, eliminating the need for a separate audio cable. 3D Over HDMI : Define input output protocol for major 3D video formats, paving the way for true3D gaming and 3D home theater application. 4K x 2K Video Support : Enable video resolutions far beyond 1080p, supporting next generations displays that will rival the Digital Cinema systems used in many commercial movie theater. Additional Color Spaces : Adds support for additional color models used in Digital Photography and Computer Graphics.